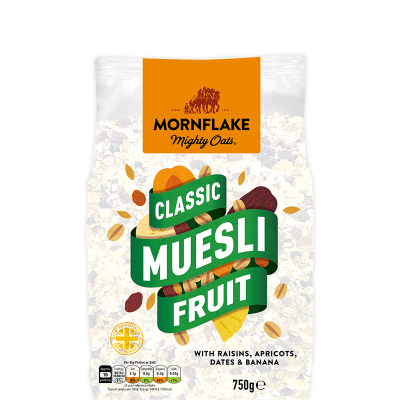 This muesli is a delicious blend of fruits & seeds. 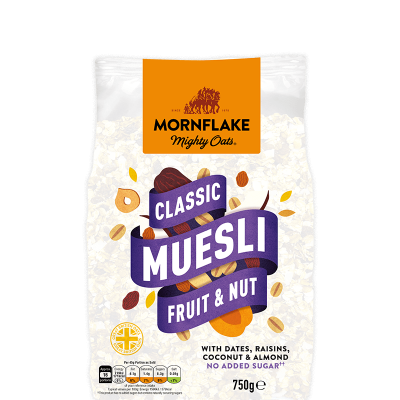 Our signature wholegrain oats and cereals are gently blended with raisins, apricot, pineapple and cranberries. 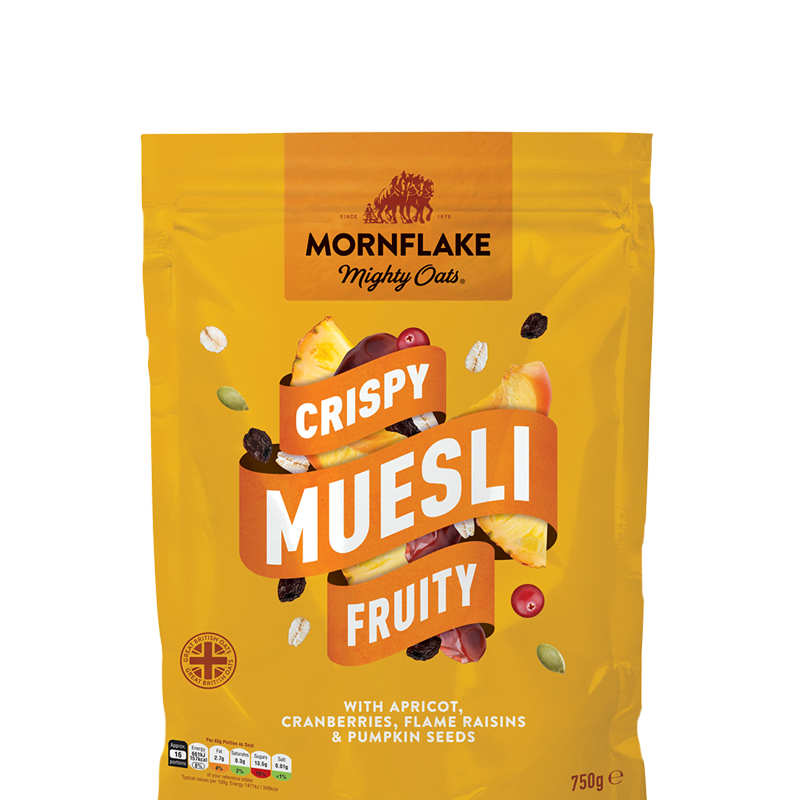 If you’re tired of shaking your muesli to find out where all the fruit has gone, you’ve come to the right place. 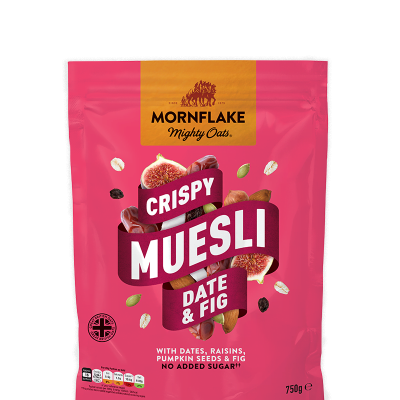 Mixed Dried & Sweetened Dried Fruits & Seeds (50%) (Raisins (9.5%), Dried Dates (7.5%), Dried Apricot (6%) (contains Preservative SULPHUR DIOXIDE), Sweetened Dried Pineapple (6%) (Sugar, Pineapple, Citric Acid, Preservative SULPHUR DIOXIDE), Juice Infused Cranberries (6%) (Cranberry, Pineapple Juice, Sunflower Oil), Flame Raisins (5%), Dried Apple (3%) (contains Preservative SULPHUR DIOXIDE), Pumpkin Seeds (3%), Sunflower Seeds), OATFLAKES, Toasted WHEATFLAKES. For allergens, including cereals containing gluten, see ingredients in BOLD. 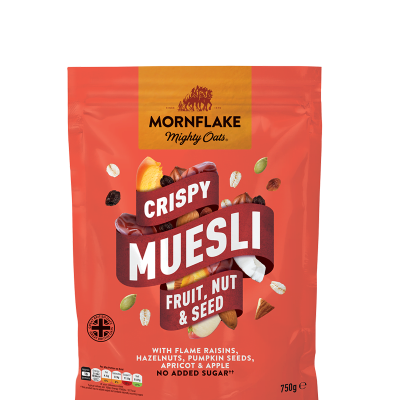 Also, not suitable for NUT, MILK, BARLEY, SPELT or RYE allergy sufferers due to the methods used in the manufacture of this product.